In today’s dwindling economy, few are privileged enough to purchase their own home upon graduation. The majority have to settle with renting units for the time being in order to make ends meet. It’s not uncommon to hear tales of unsatisfactory conditions or insufficient furnishings. As the saying goes ‘home is where the heart is’, you simply have to make do with the current situation. However, fret not. These five tricks are designed to convert even the most unfamiliar space into a cozy setting that you’d be proud to call home. 1. What To Do With Organization? First things first, organization is key to achieving a clutter-free environment. For those living on a tight budget, there’s often the issue of inadequate space. There are several ways to maximize the current available space, no matter how small. One excellent method is under the bed. Prop your mattress on a raised bed frame and voila! You’ll discover a whole new territory you’ve never ventured in, ready for some serious item stashing. Never underestimate the ability of a carpet – not only it sets a welcoming note to the surrounding, you’ll also be able to conceal unsightly tiles and tainted parquet floors. 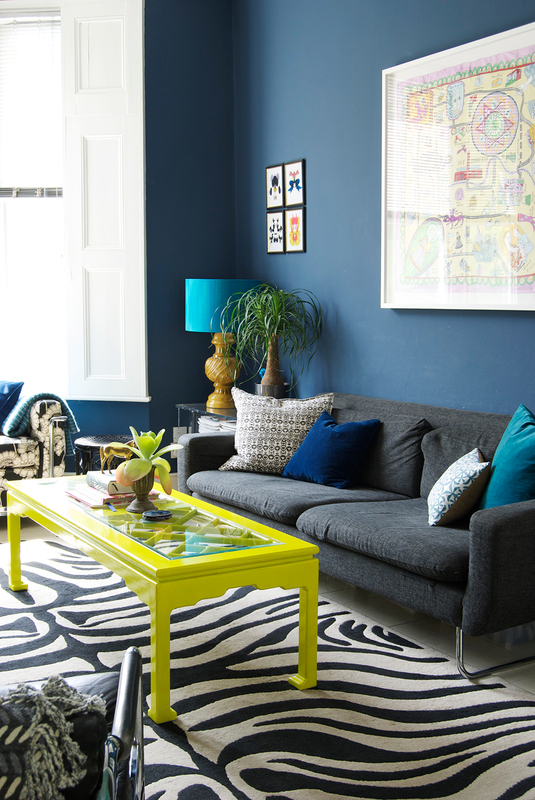 For an instant pop of colour in a bland scene, spruce things up a notch through colouful pillows and home-style rugs. You can also place a snugly throw onto the sofa for an irresistible sit-on-me appeal. Unless you’ve forked out quite a hefty amount for a presentable home, the odds are you’d probably be facing the common qualms of monotonous walls. Unfortunately, majority homeowners are especially skeptical when it comes to paint jobs, so simply think out of the box and paint your decoratives instead! 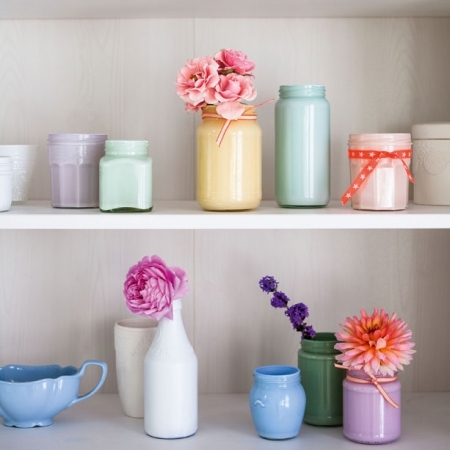 Shake things up by dipping them in gorgeous pastel hues as a statement aesthetic. 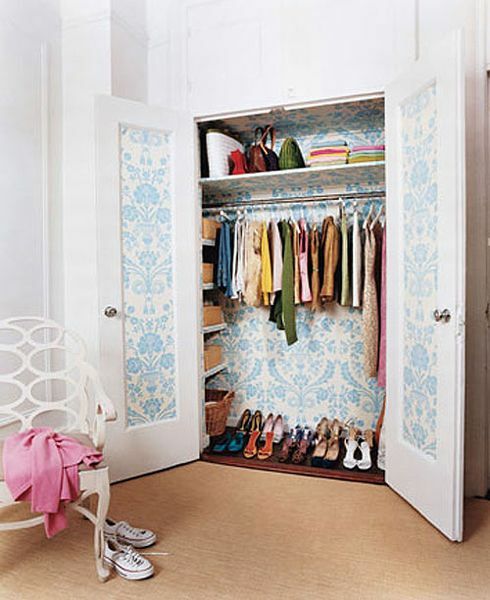 As for bulky furnishings, we suggest this ingenious method of sticking removable wallpapers. The end results are simply a marvelous sight for sore eyes. 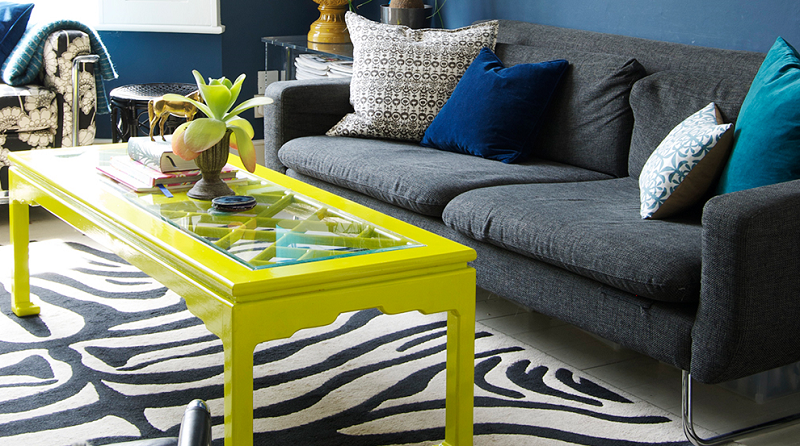 There’s bound to be one or two unappealing furniture pieces lying around the house as an eyesore simply because it belongs to the homeowner. Whether you lease ends in a year or ten, there’s no excuse for cohabiting with that unsightly coffee table or hideous plastic chair. What’s a proper home without a proud display or memoirs and photos? Although this aspect may prove to be difficult for fellow renters, do note there are other means to hang photos without making an obvious hole in the wall and subsequently losing your deposit. A highly imaginative method, opt for the old-fashion clothes line and peg for an artsy DIY aesthetic. Otherwise if you prefer a bolder statement, the ornamental artist easel will surely appease even the harshest critic.